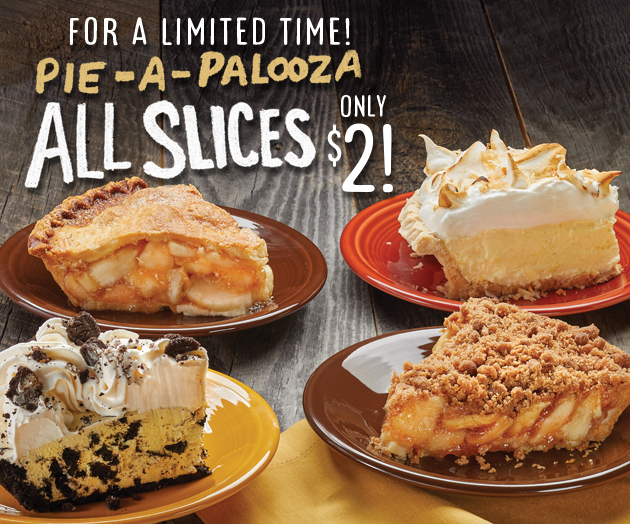 We’ve got some sweet news to share: Pie-A-Palooza is back! 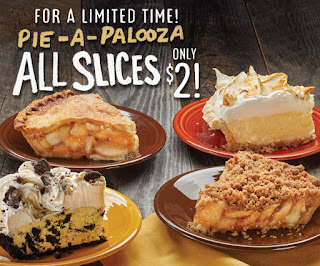 That means that for a limited time, you can enjoy $2 slices of pie morning, noon, and night! Choose from Oreo Crème, Apple, Lemon Meringue, and more! Our pies are baked fresh daily, so make sure to ask your server which pies are available today. Go ahead and have a slice, or two! *Promotional price available through April 30, 2018.